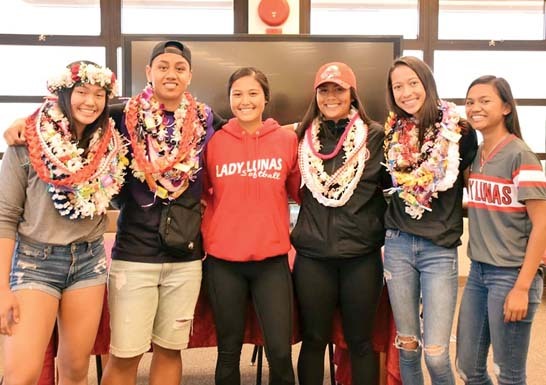 PUKALANI — The Lahainaluna High School football team has been at or near the top of the Maui Interscholastic League for several years, but the Lunas methodically finished off an undefeated round in the MIL for the first time in three seasons Friday night. 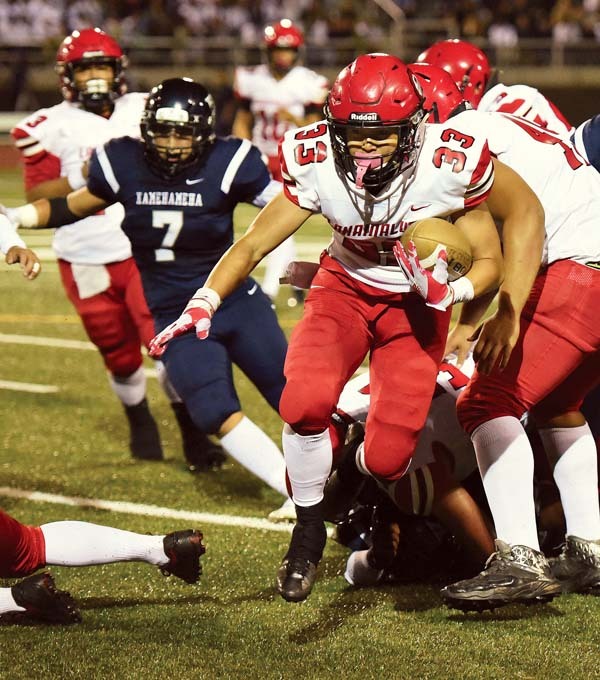 Lahainaluna ran for 398 yards and the two passes the team threw went for touchdowns in a 39-19 win over Kamehameha Maui in front of a standing-room-only, homecoming crowd at Kanaiaupuni Stadium. Elijah Ragudo ran for 180 yards and a touchdown for the reigning state champions. Joshua Tihada had 109 rushing yards and two scores for the Lunas (4-0), who recorded an unbeaten round of MIL play for the first time since 2014, when the team won all of its league games. 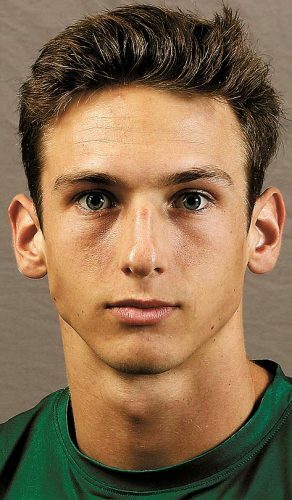 “It’s good, but we just have got to take the little steps, we have got to make sure that we … win or lose, we just have to improve,” Garret Tihada said. 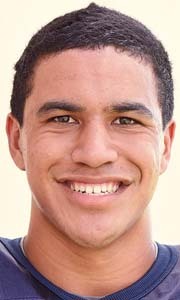 Kainoa Sanchez completed 14 of 15 passes for 244 yards and three touchdowns for the Warriors (2-2). Lahainaluna put the game away by scoring 14 unanswered points in the fourth quarter — Joshua Tihada ran 10 yards for his second touchdown of the game before the Lunas stopped the Warriors on downs on the next series when Nyles Pokipala-Waiohu tackled San­chez for a 2-yard loss at the Kamehameha 40-yard line. A 13-yard touchdown pass from Nainoa Irish to Aliksa Pihda then made it 39-13 with 5 minutes, 10 seconds left. Kamehameha had cut its deficit to 12 with 5:08 remaining in the third quarter on Nathan Facuri’s 69-yard TD catch — he grabbed a Sanchez pass that bounced off the hands of the Warriors’ Tristan Catan and the Lunas’ Bailey Honda. Sanchez, who completed his first 11 passes, also ran 17 times for 77 yards. His final throw was a 4-yard touchdown to Facuri with 41 seconds to go. The Lunas led 25-7 at halftime. Ragudo ran eight times for 128 yards in the half — his 35-yard touchdown on the first play of the second quarter pushed the lead to 19-7. 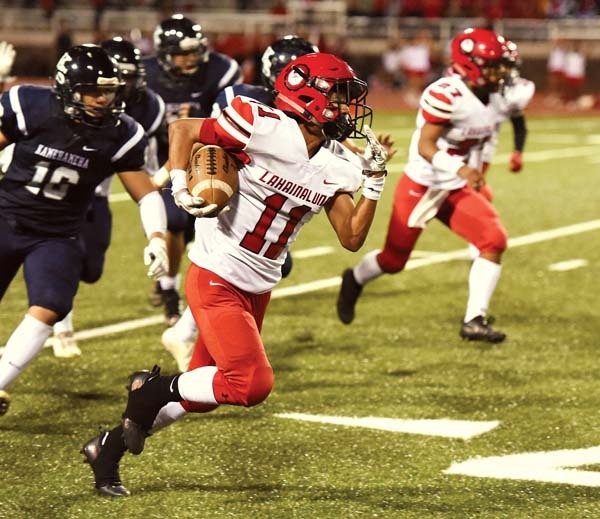 Joshua Tihada’s 1-yard scoring run capped seven-play, 66-yard drive on Lahainaluna’s first possession, and William Kai Bookland caught a 17-yard scoring pass from Etuati Storer on the Lunas’ next series to finish a seven-play, 78-yard drive. The Warriors cut their deficit to 13-7 on the next snap, when Tyerell Baldonado-Kaleiopu caught a pass in the flat and broke two tackles on the way to an 80-yard touchdown. 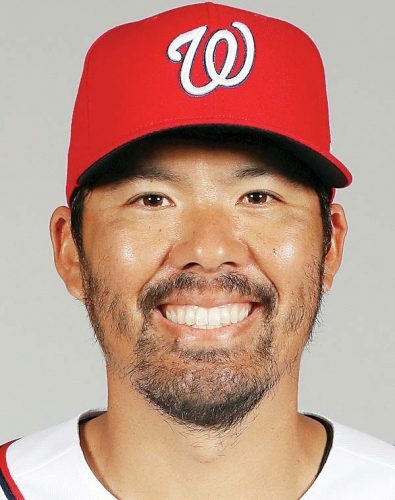 Baldonado-Kaleiopu was playing in his first MIL game of the year, returning from a foot injury. The senior, who has a scholarship offer from Navy, finished with six catches for 118 yards, while Facuri had five receptions for 94 yards. Storer ran 11 yards for a score with 6:55 remaining in the first half. 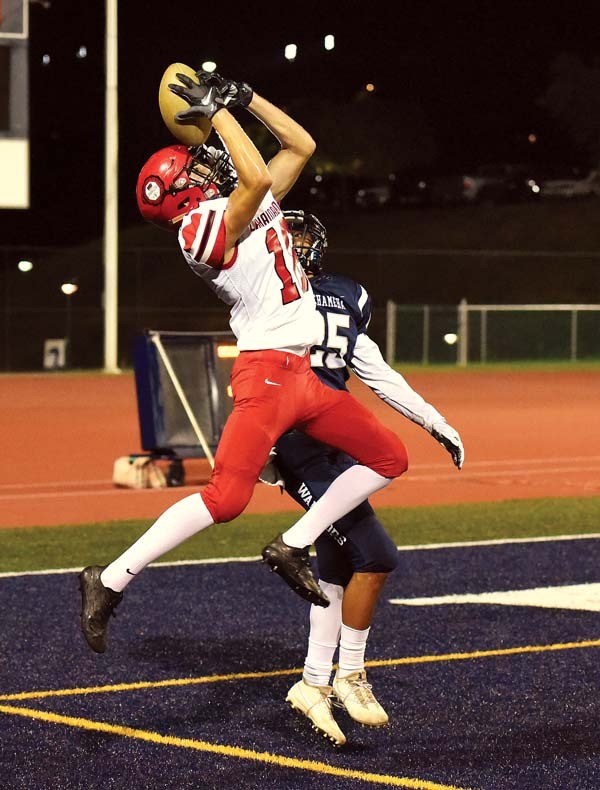 The Lunas had an 18-yard touchdown pass called back by a holding penalty on their first drive of the second half and Pablo Rico eventually came up short on a 35-yard field-goal try after the snap was bobbled.